I recently upgraded my handset, going from an iPhone 5 to an iPhone 6s plus. The unfortunate thing about this upgrade was that I needed a new iphone case because my old one is now obsolete given the incredibly change in size going from the iPhone 5 to a 6s plus. Fortunately for me, I was given the opportunity by Case App to create my very own custom iPhone case and I quite literally jumped at this opportunity. 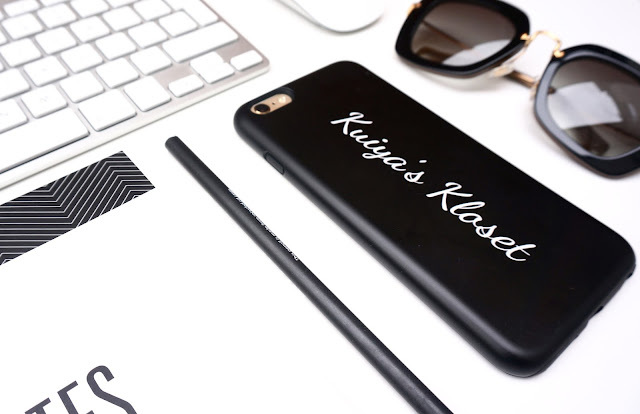 I opted to create an iPhone case that was unique and personal to me and so I decided to plaster 'Kuiya's Kloset' on the back of my case with a monochrome theme in mind because I love all things monochrome. 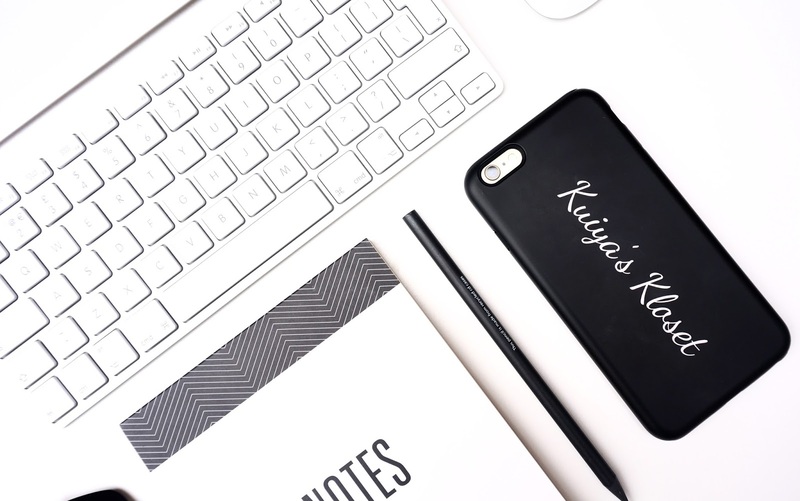 Although I chose to create my custom case from scratch, Case App do offer the option of choosing a pre-made design from their own library of phone case designs or prints. The library of designs range from marble effects to scenic pictures of palm trees to beautifully captured landscapes which you can then further customise should you wish to do so. I chose to go for the tough case as I wanted to ensure that my iPhone will be secure thus all four edges to my iPhone are covered up with the only the screen surface exposed which is exactly what I wanted. I am quite happy to know that should I drop my phone it will be pretty secure with little or no damage occurring to my phone. I have partnered up with Case App to offer my readers a 20% discount off any case app purchase using the code "TCQ1KX". Just pop on to their website caseapp.co.uk enter the code at checkout and grab yourself your very own custom phone case!